Caitlyn Jenner says that the day after she won the Olympics, she was filled with fear as she realized how difficult it would be to leave her identity as Bruce behind. Caitlyn Jenner: I know, I know. I was good at it, and I was dealing with a lot of things as a young kid, I was dyslexic, so picking up words off a piece of paper was tough for me. I had identity issues, I had all these issues as a young person. But I found this thing called sports, and I had an aptitude for it. And every young person, if they’re good at something, it makes them feel better about themselves. Never knowing how far I would actually take it, to where someday you’re trying to be the best in the world at it. 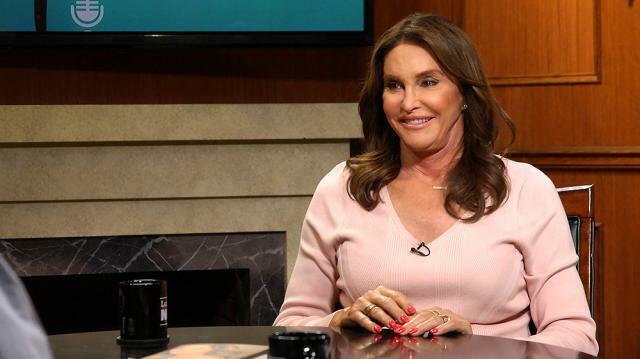 Caitlyn Jenner: Yes, my father was very proud of me. But then the day, and I talk about this in the book, the day after the games, I woke up that morning. Didn’t have a stitch of clothes on, medal was on my counter in the bathroom. Picked it up, put it around my neck, looked in the mirror, and got scared. Thinking, “Oh my god, what do I do now? How do I deal with this?” And it was almost like I built up this character, called Bruce Jenner, that now was so big. Am I stuck being him the rest of my life? Now what do I do?